Mei Xiwen defeated experienced professional Alfie Burden 5-2 as a wildcard at the 2007 China Open to qualify for the last 32 stage. 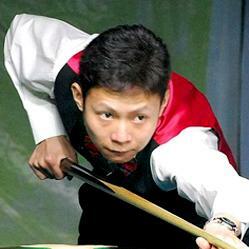 Once there however he was to suffer a 5-1 defeat at the hands of 2005 world champion Shaun Murphy. 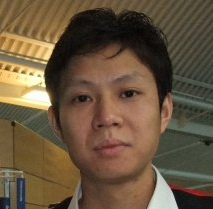 Following a strong 2008/9 season which saw him reach the final of the Asian Championship where he lost out to James Wattana, Mei Xiwen was awarded the Asian nomination onto the main tour for 2009/10. Mei’s hopes of retaining a spot on the main tour were dealt a significant blow early on as he failed to receive a visa for the Shanghai Masters qualifying event and like countryman Li Hang was forced to withdraw from the tournament. In the season’s following events his situation did not improve with opening round defeats in qualifying for the Grand Prix, UK Championship and Welsh Open. This meant that although he was able to get off the mark at the China Open qualifiers with a 5-4 victory against Noppadol Sangnil, before adding an emphatic 10-4 win against Chris Norbury at the World Championship, he was unable to retain his professional status for 2010/11.